Today I have a list as long as my arm of things I want to get done today while Isla is at nursery, but very much doubt it will all get done. The house looks like a bomb has gone off (nothing new there then!) and there’s a courgette cake that needs making too. 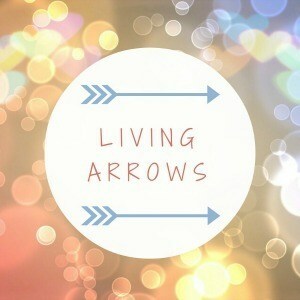 But, before any of that, here is this weeks Living Arrows! I was going to say that it doesn’t feel that long ago that I wrote last weeks, and I guess it’s not as I was late posting week 36. So what have we been up to since then? On Thursday Isla and I went over to Odd’s Park Farm with some friends, and signed up for annual membership. The soft play there is fantastic, with three different sections for different ages. Isla and I went on one of the big slides together, though I’m not too sure what she thought of it! There is a massive drop slide there as well, and just watching some of the older kids go on there gave me the heeby jeebies! Kids have no fear! It was raining for most the day, so we didn’t get to go outside and see the animals. On Friday Isla and I went into Bracknell for the afternoon to see what the new town centre was like (we weren’t going to, but as next door were drilling again as they had a new kitchen put in and the drilling scares Isla to death…!) After 20+ years of talk of regeneration, it has finally happened! I used to work right in the town centre, and to see the bit where my offices used to be, it’s unrecognisable! There are still some bits that aren’t open yet, but will be in the next few weeks. But it looks really good. Shame they couldn’t have done it a bit sooner while I was still working in Bracknell, though I would have been very fat, and very poor, going to Nandos and Wagamamas etc for lunch all the time!! After a bit of an explore, we then picked Chris up from work and headed off to his Mum’s for the weekend. It was quite nice picking Chris up early, as it meant that we missed most of the traffic, and it only took us just over 2.5 hours, as opposed to the usual 3.5-4 hours it would have taken if we’d left at the normal time. The M25 is horrible on a Friday night. Well, it’s horrible most the time, but on a Friday night it’s even worse! Isla had so much fun visiting her Nanny, and had lots and lots of cuddles and kisses! On Saturday we went to the beach, where we built sand castles, splashed in the sea, and Daddy swam in the sea too cos he’s absolutely insane!!! And that’s where this weeks Living Arrows photo was taken. 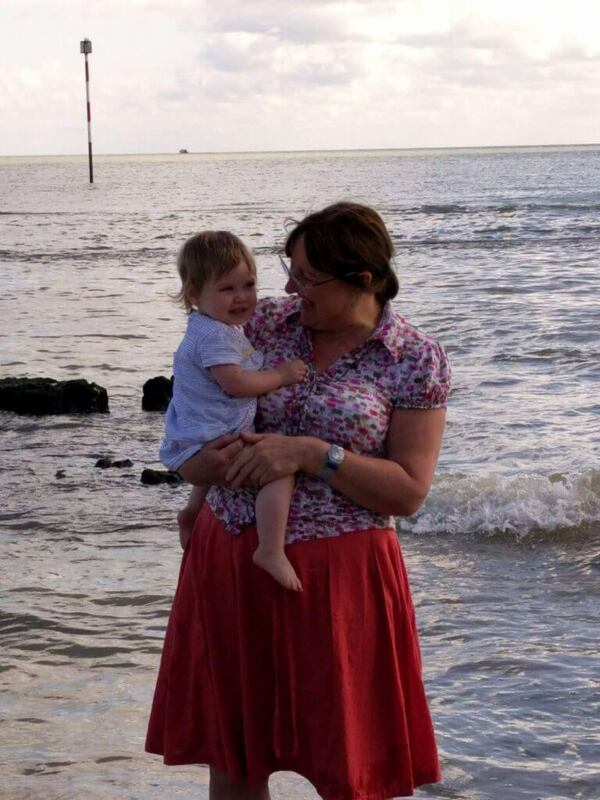 Isla wasn’t too sure about splashing in the sea (I’m not surprised though, it was freezing. I wasn’t stupid enough to do so!) and so she had lots of cuddles with Nanny instead. I love this photo. They both look so happy. 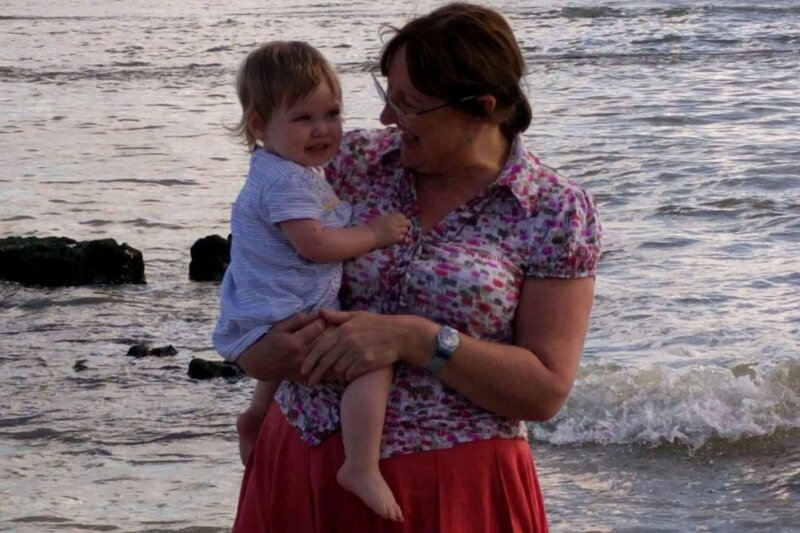 Chris and I haven’t got many photos of Isla with her Nanny, as she works all hours God sends (excuse the pun – she’s a vicar!!) so she is very busy! So this weekend we were on a mission to get lots of photos taken. And I think we successfully managed that…nearly 200 photos taken in less that 48 hours. Considering Isla was probably asleep for at least half of that, and Jan had two church services to do, I don’t think that was too bad. There were some really lovely ones, and it took me a long time to decide which photo to use. What did you get up to at the weekend? Does your little one like the sea? Or are they really not too keen on it, like Isla? Ooo courgette cake sounds interesting! I’m the same as you. When the kids are in school, I have a long list, yet I only ever manage to do a few of them! My kids and I love making our chocolate courgette cakes 🙂 I went to the Lexicon on Saturday and it was fab! I’m Wycombe, but used to live in Bracknell. Hubby still works there. I got invited too, but couldn’t make it either.